For everything organized. 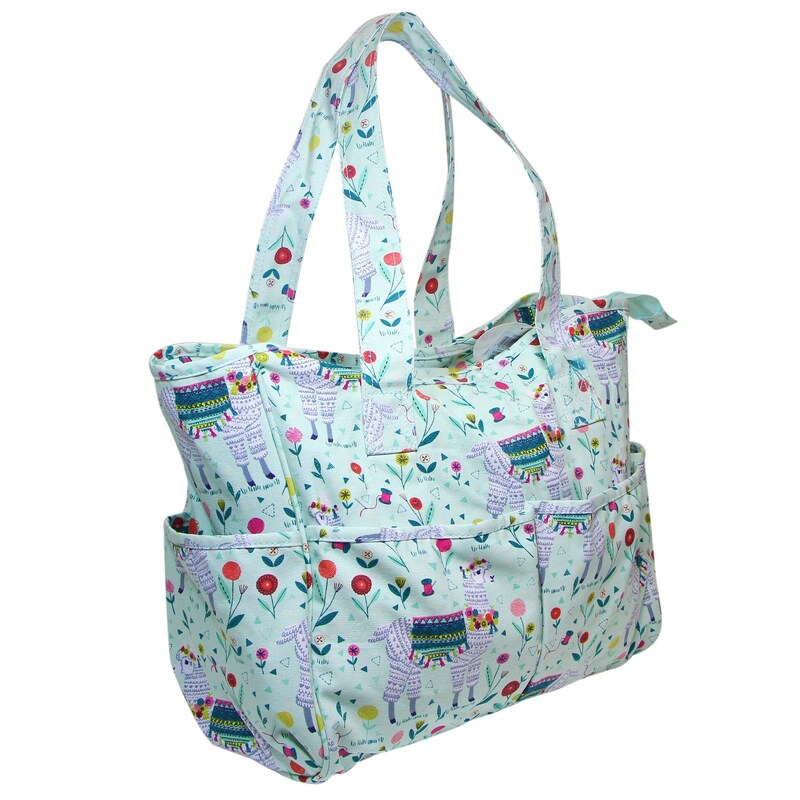 This Llama knitting tote is not only trendy but it is the ultimate tote for organizing your knitting, crochet and cross stitch projects. 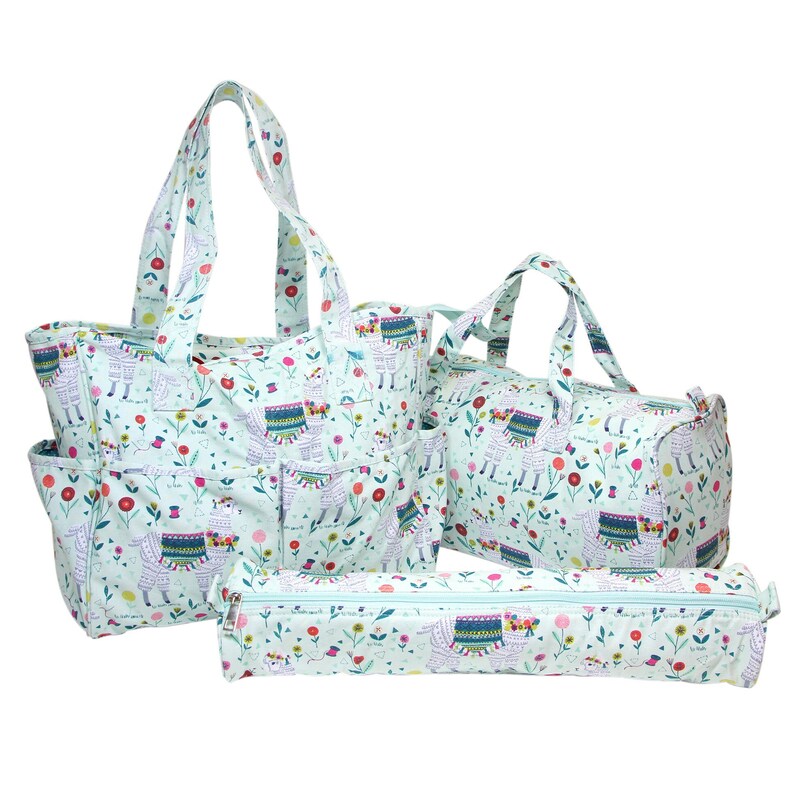 It has a large main storage area with a zipper closure, and 5 outside pouches to hold all your knitting or crocheting accessories. Size: 36 x 13 x 31cm (14 1/4″ x 5″ x 12 1/4″). 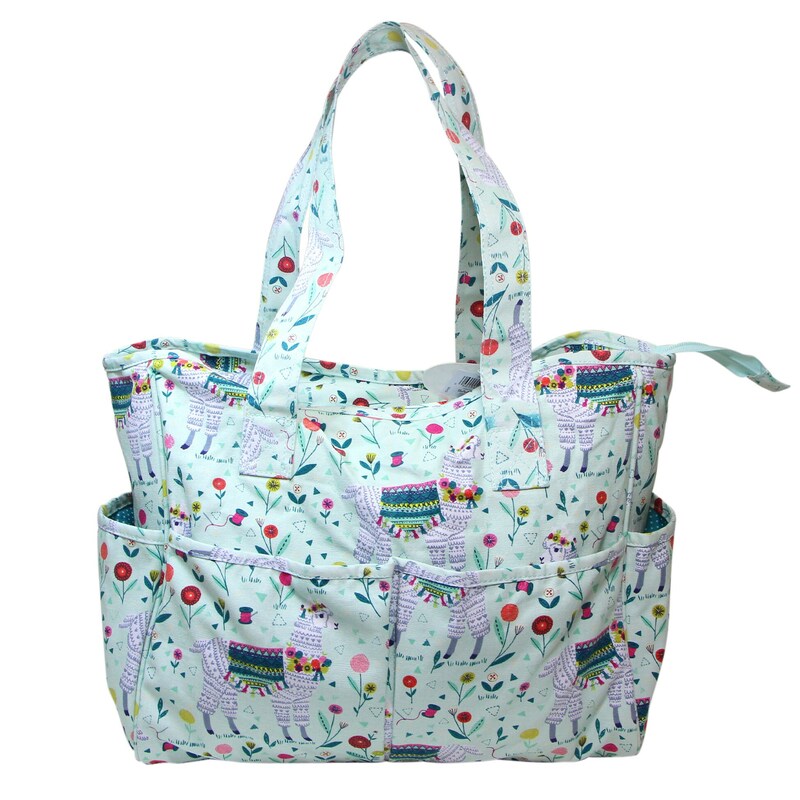 Other Llama totes and cases available!